Arrrr, it’s the pirate’s life for me! When one is in the mood to be dastardly, not just any ship will do. The Renegade is just that: a lone wolf gone off to seek fortune and adventure where it might be found. When shaken, the ship disappears into the clouds. But … what does it do? A simple machine, or a curious invention, with interlocking gears as the focal point. This tiny sculpture features an assortment of hardware including gears, propellers, chain, coils and assorted devices, bathed in a glittering shower of coppery metallic dust when the globe is shaken. Is it finished, or a work in progress? The mysterious purpose is unknown. 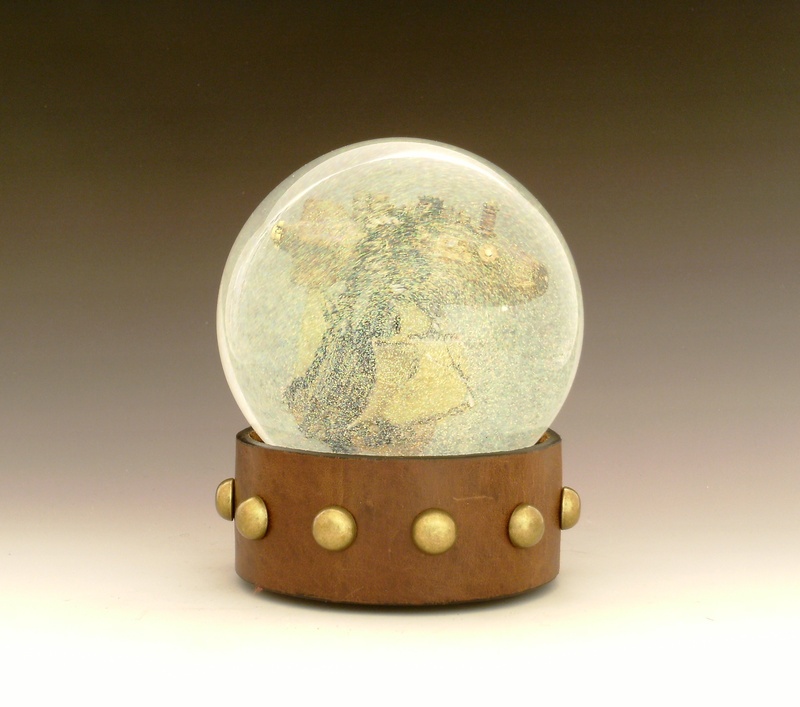 One of a kind liquid-filled snow globe (water globe) with tiny gears and hardware in a 2.5″ tall mixed media sculpture. All images and designs are copyright (c) 2014 Camryn Forrest Designs, Denver, Colorado, USA.